Since the invention of Smartphone, there are many free messenger apps designed. People have given messages a top priority than calls or emails. iPhone has its own free messenger app -- iMessage. Undoubtedly there are many important messages that you don't want to lose even when you purchase a new iPhone. 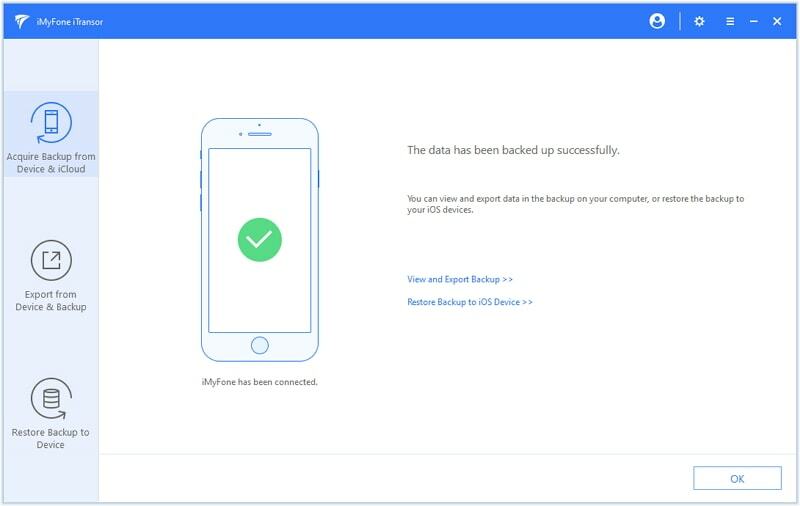 Therefore, it has become vital to make backup of the messages so that whenever you want them transferred to your new iPhone, you would be able to do it. We will tell you how to get old messages on new iPhone with 3 effective methods. Let us begin! Let's have a quick glance on how to get old messages on new iPhone via iTunes. Step 1. Make sure that your computer and your iPhone both have iTunes' latest version installed on it. Now connect your iPhone into your Mac or Windows computer and launch iTunes. Step 2. Meanwhile, iTunes will automatically detect your iPhone. Now, tap on "iPhone" icon in the iTunes application window and hit on "Restore Backup" button available in the "Summary" section. Step 3. iTunes will then show you the list of past backups that you've made. Look at the size, data and time for each file and select the required backup file. Step 4. Lastly, hit "Restore" and allow the process to complete. Make sure to maintain proper connection between your iPhone and your computer till the process completes. If you don't have iTunes backup, you can also restore an iCloud backup to get old messages on new iPhone. The tutorial is given below. Step 1. If you've already setup your new iPhone, please reset your device again and reboot it. Note: This step is vital as the option to "Restore iCloud Backup" to new iPhone only appears prior to setting up your iPhone. Step 2. Reboot your device post resetting it. Complete the onscreen steps until you see a screen that says "App & Data" at the top. 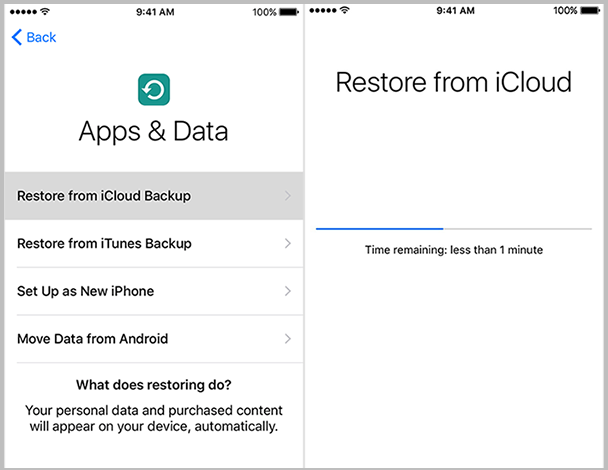 Now, tap on the "Restore from iCloud Backup" option. Step 3. The device will then ask for your iCloud account credentials. Punch in the credentials carefully and download the relevant iCloud backup file by checking its size, date and time. Step 4. It will then start download the data from your iCloud account and restore it to your new iPhone. You can monitor the status of the restoration by with the progress bar visible on your iPhone screen. Wait till the progress bar completes and you're done. Make sure your device has an active and a stable internet connection during the whole process to avoid errors. Usually we don't need a whole backup restored to new iPhone, we just need certain type(s) of data such as Messages. In this case, you can use iMyFone iTransor which is a third-party tool to selectively backup or restore your iOS data. 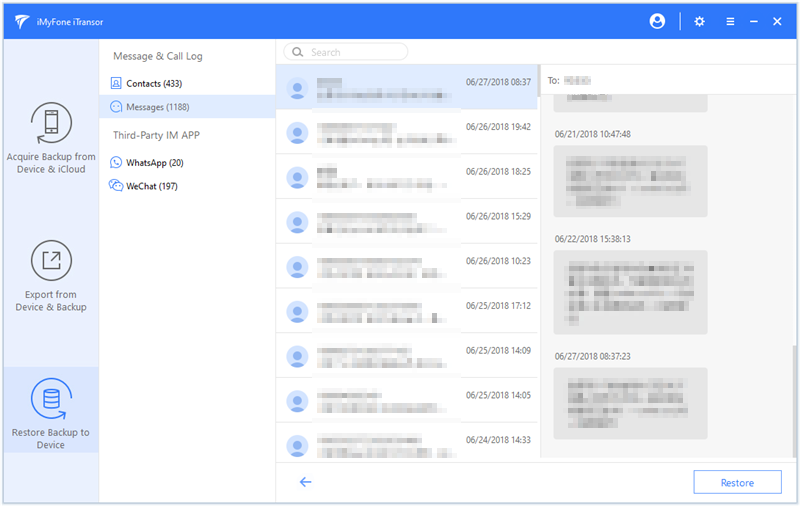 The tool has many powerful features that make it a better alternative to iTunes or iCloud and an appropriate choice to to get old messages on new iPhone. 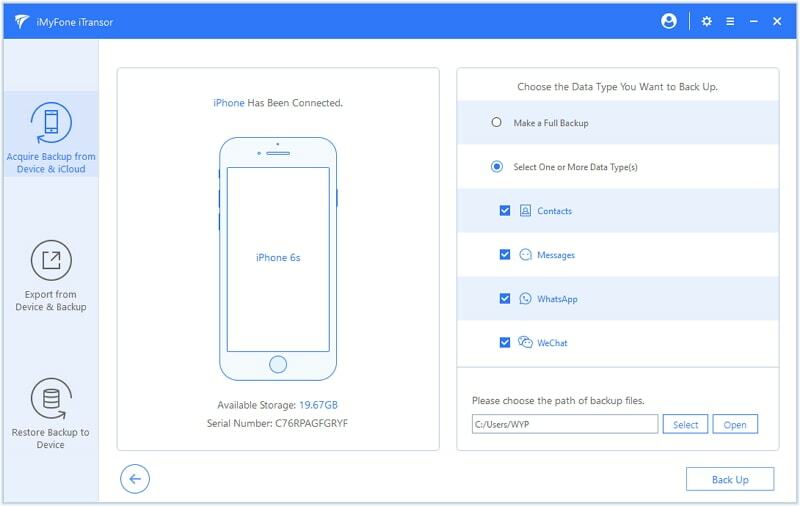 You can backup only Contacts, WeChat, Messages, WhatsApp on your iPhone instead of the whole data. 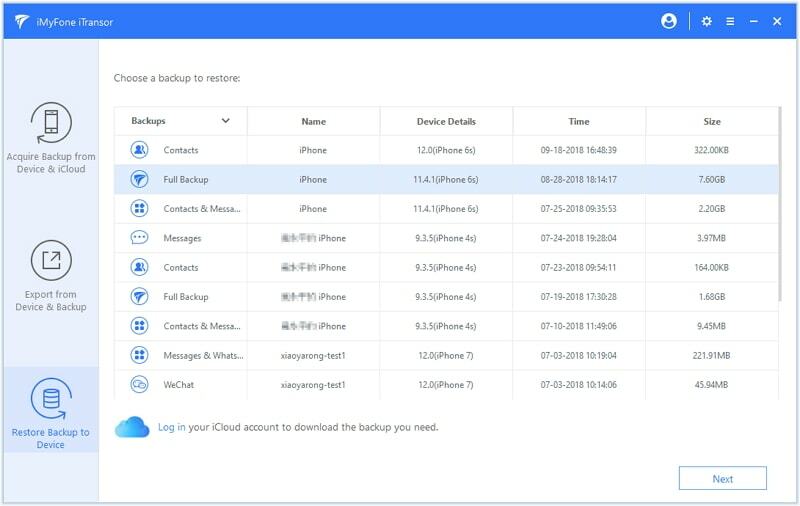 You can restore only the data types you want such as Contacts, WeChat, Messages, WhatsApp from the backup files to your new iPhone and merge them with the corresponding app data on your device. This also helps in extracting more than 16 types of data from your iPhone, iTunes or iCloud backup. All iOS devices and iOS versions including iPhone 8, iPhone X, iPad Pro, iPod touch,and iOS 12 are supported. Here is the guide on how to get old messages on new iPhone via iMyFone iTransor. There are 2 ways you can try using this tool. Step 1 – Make sure to connect your iPhone with the PC before beginning. 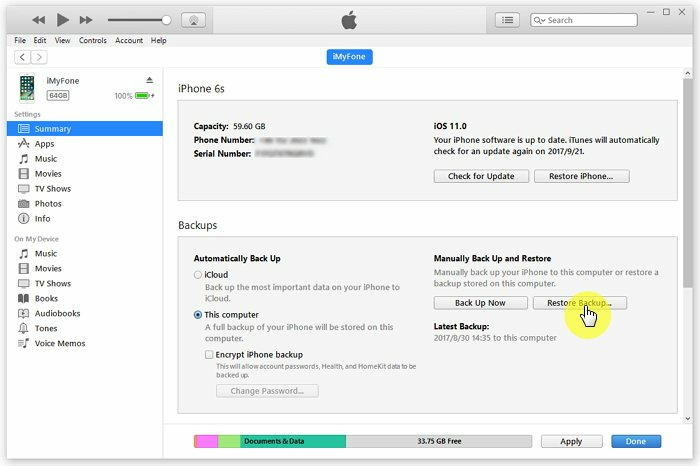 Open the program now and from the left sidebar, choose the option "Acquire Backup from Device & iCloud" and then click "Back Up Device". Step 2 – Afterwards, check "Messages" option from right sidebar and choose a location to store the backup files. Last of all, click on "Back Up". The process will finish soon. Please don't unplug the device until the backup process completes. Step 3 – Now you can just restore the Messages backup to your new iPhone. 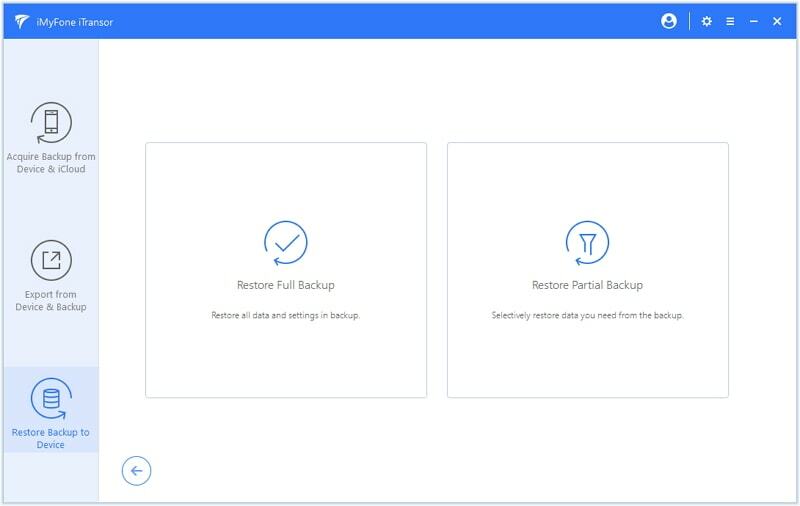 You can jsut click "Restore Backup to Device" from the left panel. Find the Messages backup you just made and click "Next". Step 4 – Then you will be on the following screen. You can also preview the messages before restoring by click "Preview & Restore" from the 2 options. Wait for a while the messages will be displayed in details on the screen. Click "Restore" now. 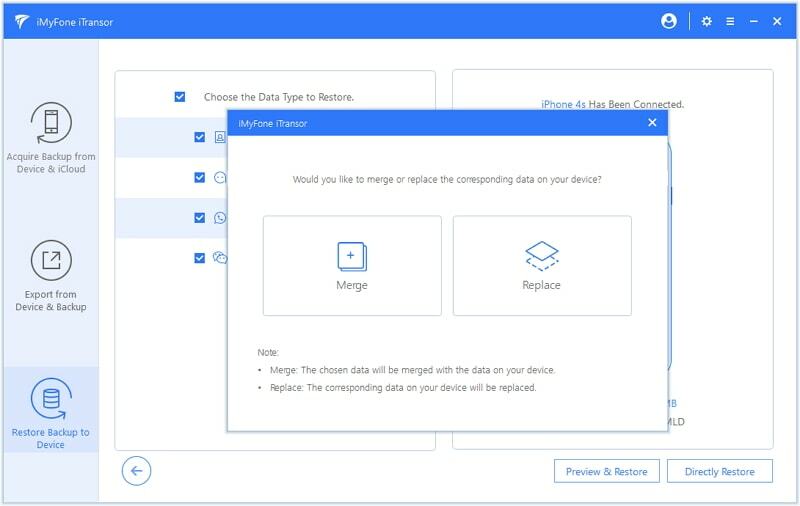 Step 5 – The last step is to choose from "Merge" or "Replace". If you have some new messages on your new iPhone, you can choose Merge option. If there is no any message on your new iPhone, just click Replace. After a while, the restore process will be finished, and you can check the messages on your new iPhone. 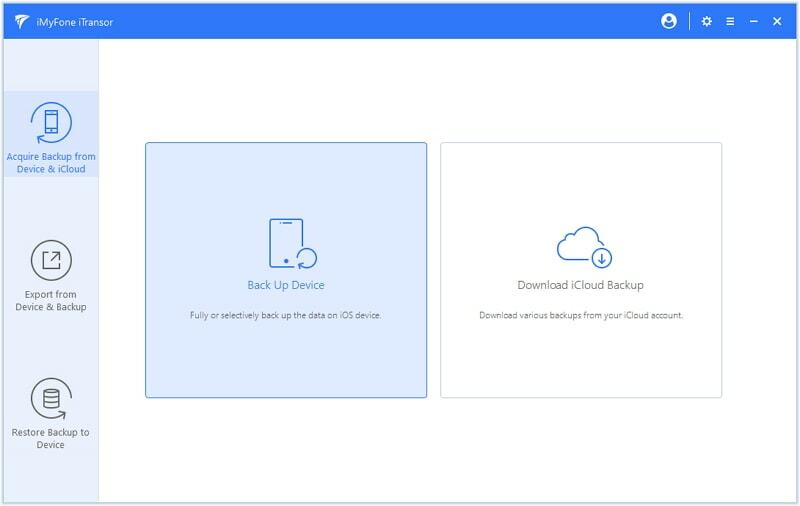 Step 1 – Run iMyFone iTransor on your computer and click on "Restore Backup to Device". Your backup list will be on the screen now. You can choose the needed iTunes backup file or iCloud backup files. In case, iCloud backup files are invisible, just hit on "Log in" option at the bottom, log in to iCloud and then download a backup file. Here we take iTunes backup as an example. Step 2 – Now, choose "Restore Partial Backup" option for merely restoring your messages. Step 3 – Choose "Messages" from the list which mean you only want to restore messages from the iTunes backup. Then the other steps are similar as "Way1". We've finished to explain how to get old messages on new iPhone no matter it is running iOS 12 or previous versions. 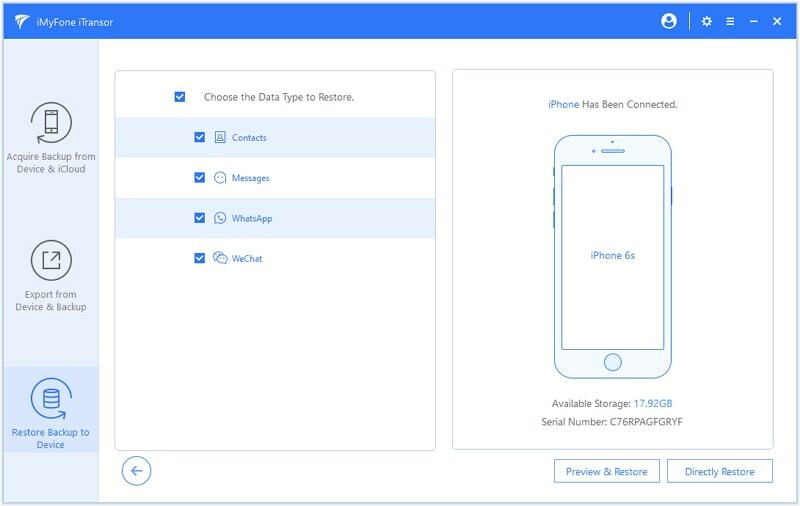 Now you can easily access your messages in your newly purchased iPhone. Hope you have been successful doing it. Let us know your experience and your questions if you have.